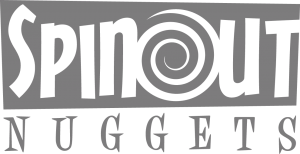 Amy KB: Tell me about Spinout Nuggets, what inspired you to start your own label? 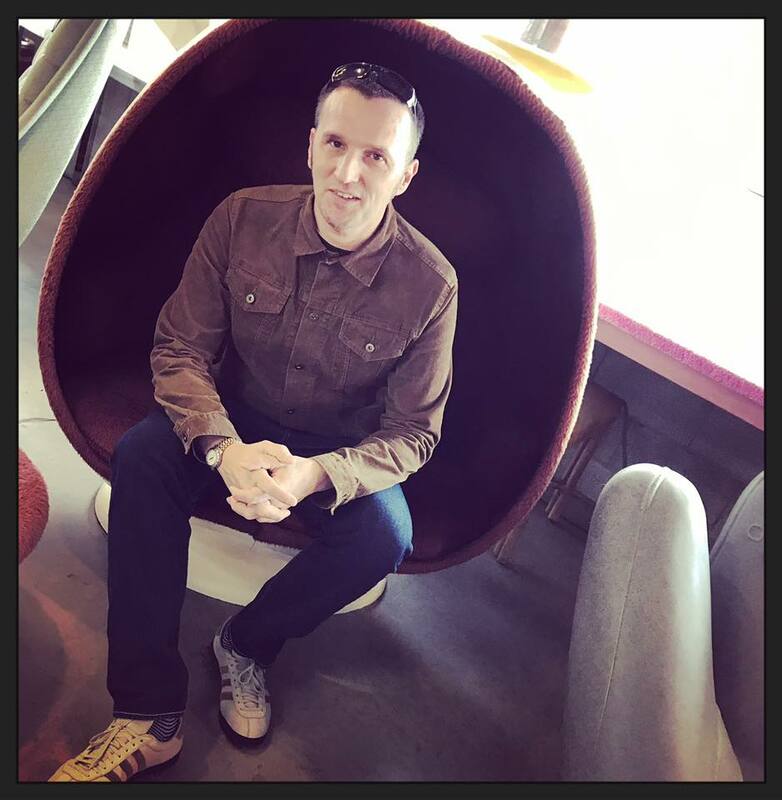 Lee Grimshaw: From a very young age, I dreamed of running a record label, owning a record shop and managing a music venue. Like many, I spent hours hunting for and buying records and I was lucky to have two older brothers who also shared the same love. We were regularly taking the train up to London together on Saturdays for record shopping or attending gigs and club nights all over the South East. The old TVS studios in Gillingham (which sat on our route to the train station) was always the place that my brothers and I pictured to be the venue that we would one day conquer and convert into a hub for all the above. Unfortunately, that plan never came to be, and it eventually became the site for yet another Lidl outlet. We had by then already relocated to Newquay, but the dream was still vibrant! Supporting record labels such as Detour, Damaged Goods, State, Crocodile, Heavy Soul, Vacilando ‘68 and many others over the years opened my eyes a little to how a passion and a dream could be combined and maybe become a reality. I remember listening to the Retro Man Blog Podcast interview with Ian at Damaged Goods a few years back and felt inspired by Ian’s passion for pressing up the Slaughter and the Dogs reissue back in ’88. He even went along to actually witness the manufacturing at the pressing plant. At this time, my dream was still just that, a dream. Years later in 2017, I was lucky enough to be accepted for voluntary redundancy, following twenty-three years’ service, allowing me to have some investment cash for a few ongoing projects, including the label. I also experienced a life changing moment (losing a cherished family member too early in life), which gave me a little boot up the bum! So, the dream started to look a little more likely. The label was actually set up due to some unreleased tracks that were put my way (more on this later), and I’m really pleased with the whole thing. There was already a ‘Spinout Records’ in operation, so I needed to tag something different to the ‘Spinout’ name, and after many hours deep in thought, Nuggets felt good. I asked Darryl Hartley to help out with the logo, based on his mighty fine long line of sterling artwork. AKB: What drew you to Sergeants Mess for the first release? 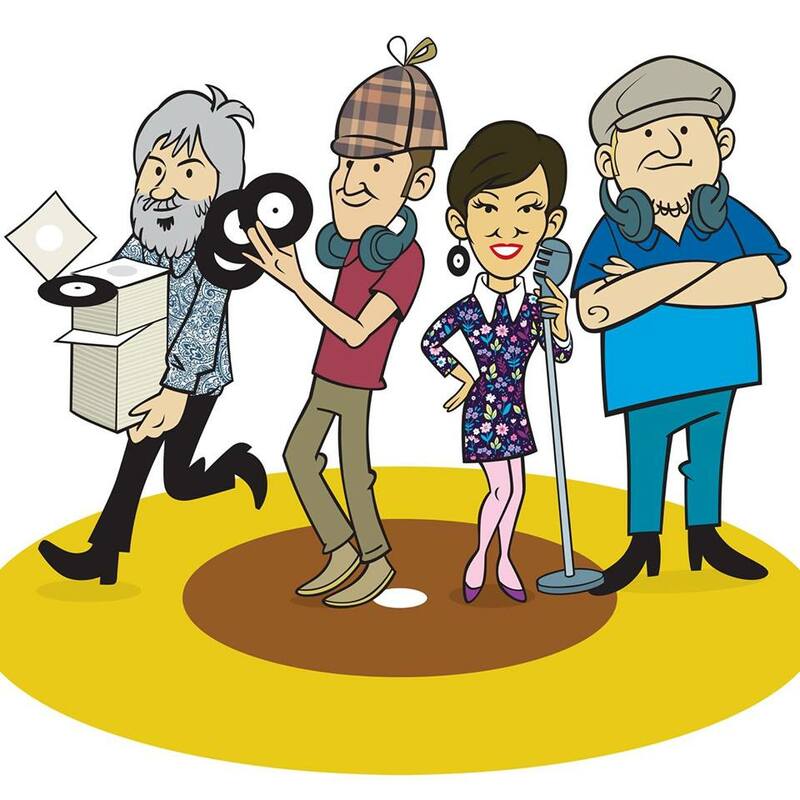 LG: While all the dreaming and redundancy affair was going on, Johnny Barker from the band kindly sent me a copy of the first Sergeants Mess EP, which was produced by Billy Childish back in 2002, to play on the Spinout Show. He’d hinted that they had further unreleased tracks available, recorded with the mighty Mole at Sandgate Studios in 2013, and he asked if I knew anyone who’d be up for getting it out. Well, I originally thought my time had come, but just didn’t know how to get the ball rolling. Jon sent the tracks through, and I got a one-off carved up in order to play during my DJ set down at the colossal Beatwave Weekender 2017. I played it on the show too, and there was some great interest in it. I made a few enquiries but it wasn’t the right time for other labels to get it out, due to other planned releases. 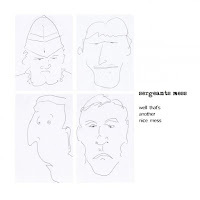 So, following an ad-hoc meeting with Jon in a Rochester boozer, I felt it was the right time, and what better release to start with than the Mess quartet. 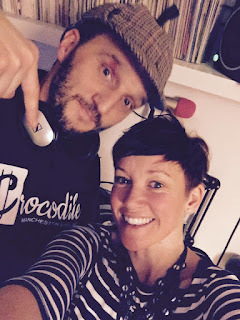 With the help and guidance from Mole at State Records (did someone say ‘State Records? !’) and Russell at Crocodile Records, I managed to get the ball rolling. Big thanks to those fellas for their time and support. Jon had already put the sleeve artwork together, and I added a few bits on, including the numbering, which I’ve always loved (it took me a whole evening to hand number these) and Jon printed them up too. It’s a real buzz to have such a collection of respected musicians for the first label release, just check out their collective musical journeys – Senior Service, CTMF, Buff Medways, Goodchilde, Daggermen, Phaze etc - their names appear on a fair few records in my collection, and I’m most certainly happy that it's a Medway band too! Plus the fact that the band share their name with the much remembered army surplus outlet in Chatham (don’t know if it’s still there or not, but I’m going back to the late 80’s on this one). Also, using Graham at Cyclone Music in Rochester for the whole pressing operation felt just right too, and the service was perfect. 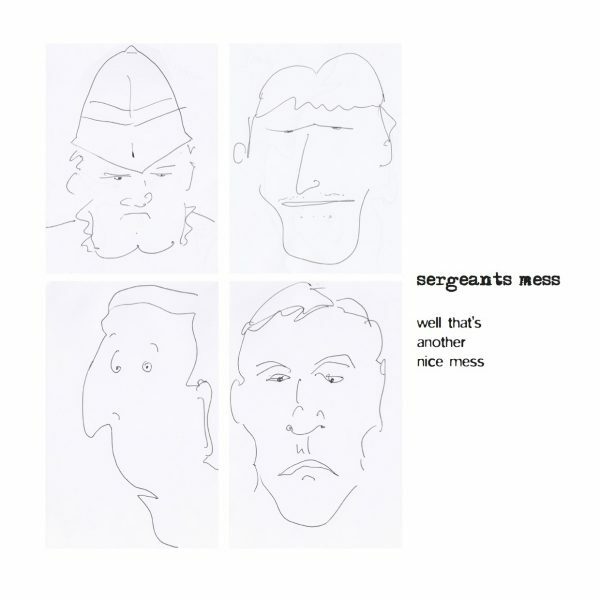 "Sergeants Mess "Well That's Another Fine Mess" - On this hand-numbered limited edition 7” vinyl release of 300 copies, the Mess provide two stormers, each in it’s own parallel universe. "Couldn’t I Be Yours" gives a respectful nod to the Garage output of the 60s, and "Back In The Bag" is an experi-mental, yet very well constructed and funked up Kinks vs Gorillaz-esque wonder". AKB: What can we expect to hear next on Spinout Nuggets? LG: The label is no way intended to be something major or competition to anyone else but there are a few potential ideas for future releases. I would love to continue with it and roll out some real gems, and a few bands have already showed an interest in working on it. Hopefully, we may put one of our very own recordings out soon, either as Little Miss Mojo, or in a band offering, but I’m also up for any good offers. There’s also stuff I like that hasn’t been available on vinyl format up until now and I may work on trying to help arrange a release. Who knows, let’s see how it goes. AKB: The Spinout Empire seems to be growing all the time! As we’ve discussed, you have the label, and the radio show but what else do you have planned for the future? LG: Spinout Productions is the overall tag and it allows integration into other affairs, whether it’s flyer/graphic/design, entertainment assistance, whatever really. As a collective, we are really pleased with how things are going, and spending less time at a day job has allowed me to spend more time in all musical things (including the continued search for records). I’ve also managed recently to set up the new Spinout Productions website with the guidance of my brother Darren (thanks! ), and I quite enjoyed the whole process, including the ecommerce shop side too. I’m hoping this may grow into a community-based hub for all our fave friends too. We totally appreciate all the support to date. 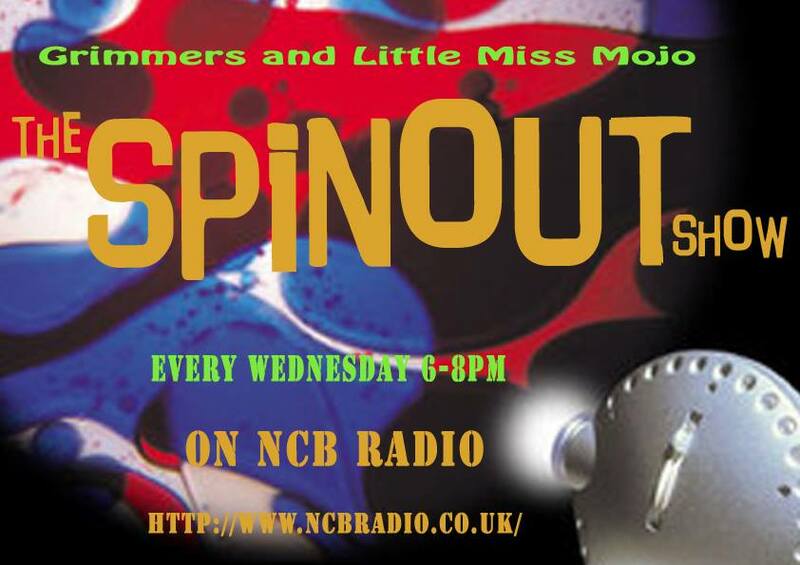 For the Spinout Show, we’ll continue to run a live weekly one as much as we can (Wednesdays, 6-8pm, at ncbradio, with various guests. We’ve had some great additions, including some very special guests, our good friends Rick and Amy, the State Records take-over and our regular guests, brother Dave Grimshaw and Stevie Junk Wax. We’re always on the lookout for new music too, so send it to us! The Spinout Revue continues to flourish, and we are lucky to be able to take this to various weekenders, festivals and venues throughout the year, in addition to our own organised affairs. We have only just returned from performing at the High Rollers Weekender in Las Vegas, under The Spinout Revue outlet, with live vocals from Little Miss Mojo, and we are pleased to have been part of it. What a weekend! We flew out with The Len Price 3 too, and they tore the roof off the place the night before us. We will certainly return to this great weekend, it was so well-organised (good work Eric, John, Patrick and the team), full of real nice people with such a good vibe. The whole ‘Revue’ idea was always going to include various performers, and we will continue to include as many as we can, whether it being DJ’s, a band, some poetry, dancers, visuals, whatever, and we’re hoping to get some more acts down to Cornwall too. The record shop dream may still become a reality, along with running a music venue (in order to put on all what we like), and I’m working on these, combining the two would be ace and we’re on the hunt for a venue. In the meantime, I’m using the Spinout Shop on the website to sell some specially picked releases to share. We really do appreciate the continued support, bookings, socialising, laffs, friendships, beers, and of course, the events we are able to attend (including the mighty fine Retro Man nights). I’d also like to take this moment to thank ‘the Mess’ (Jon, Darryl, Wolf and Chris) and all that have sailed in her (or bought the 7”…!). Graham Semark, all our Spinout show listeners worldwide, Mole and Lois, Russell Crocodile, Dave Grimshaw, Russ Wilkins, Adam Cooper, Adrian Gibson, Jordan Cinco, John Manion and Steve from Retro Man Blog for all their continued help, support and services to all Spinout affairs. All the bands and promoters that put so much effort in to what they do, and of course, my partner in musical crime, the one and only Little Miss Mojo (Emma), who I’ve had the pleasure (and support) to build this all with. 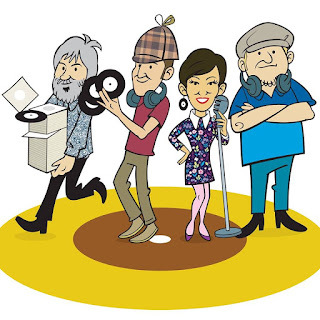 Check out the Spinout Productions new web-site here for further information on all the Spinout news and happenings and how to order the new 7" single by Sergeants Mess. You can hear one side of the Single in Episode 29 of Retrosonic Podcast. With thanks to Amy and Lee.